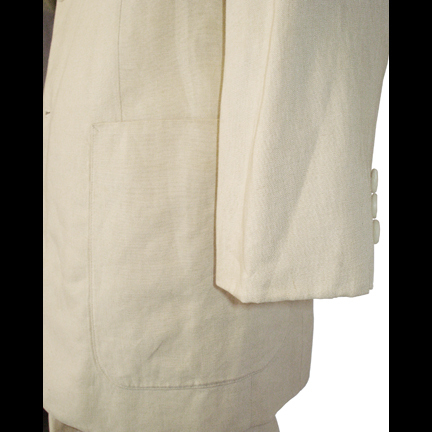 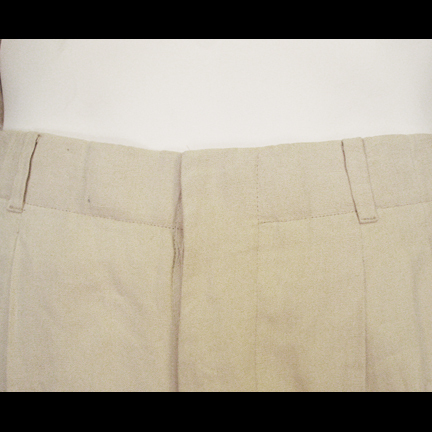 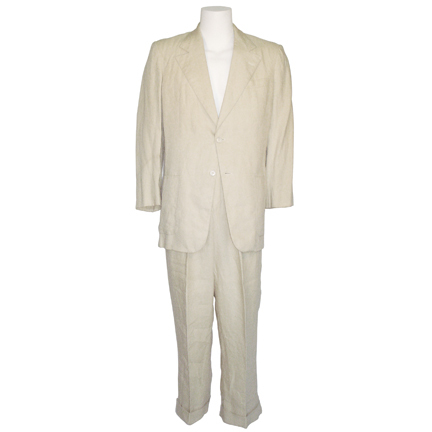 This period suit was worn by the character Paul Maclean portrayed by actor Brad Pitt in the 1992 motion picture "A River Runs Through It" starring Craig Sheffer and Tom Skeritt. 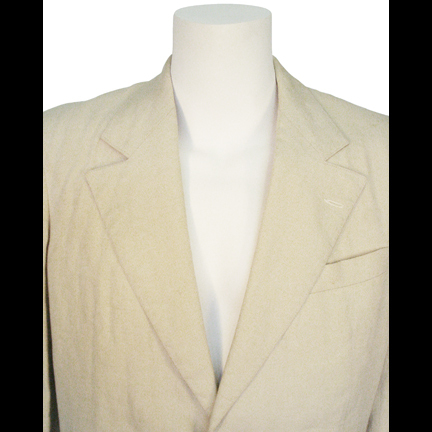 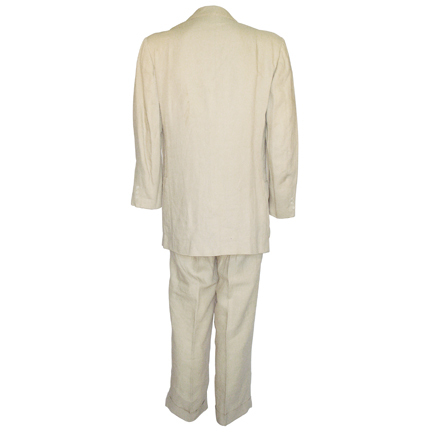 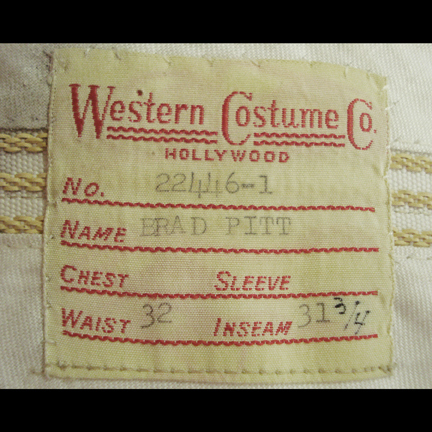 The two-piece white suit was custom tailored for the actor by Western Costume Company and has the original costume company labels sewn inside with the name “Brad Pitt” and made to order number “22446-1” clearly typed in black ink. 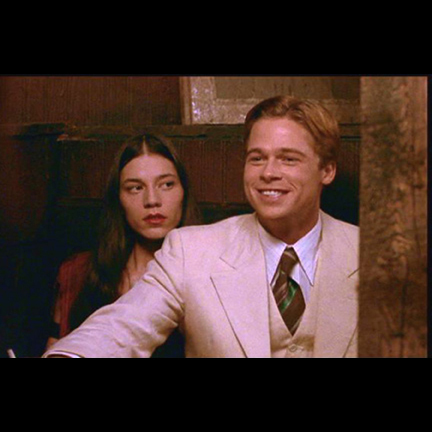 The outfit was worn during the sequence of the film when Pitt's character visits a local speakeasy with his brother Norman (portrayed by Sheffer). 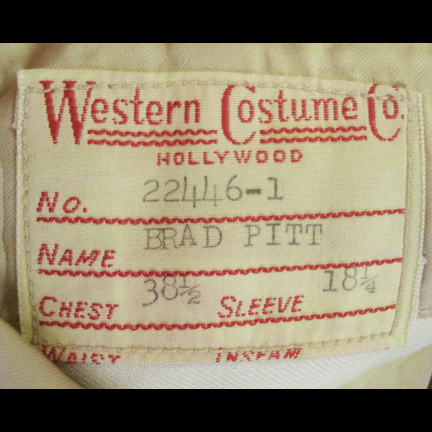 The suit is in excellent screen worn condition and is accompanied by a letter of authenticity from the costume house. 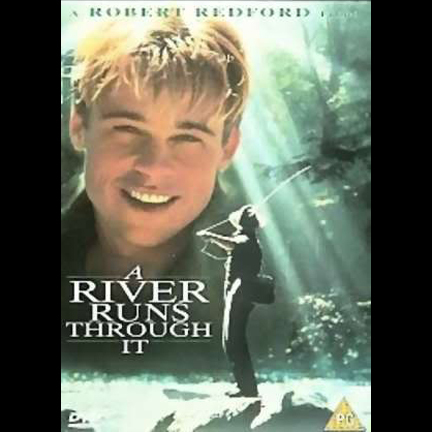 “A River Runs Through It” was the third film directed by Robert Redford and received an Oscar for Best Cinematogrpahy in 1993.